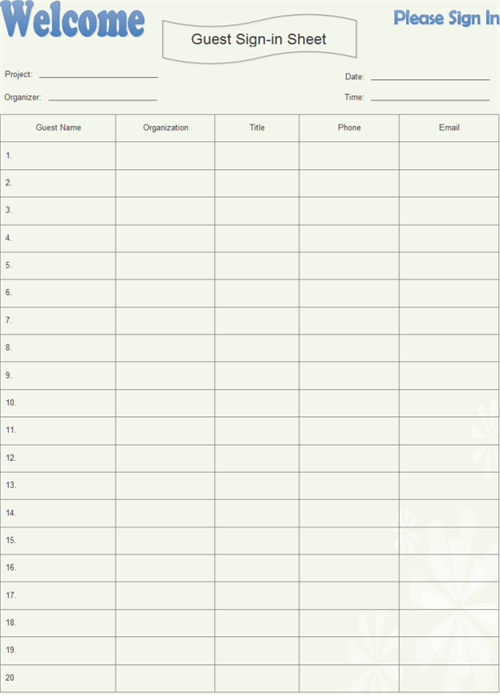 Useful forms for a smooth and successful speech contest, including sign-in sheets and evaluation form. 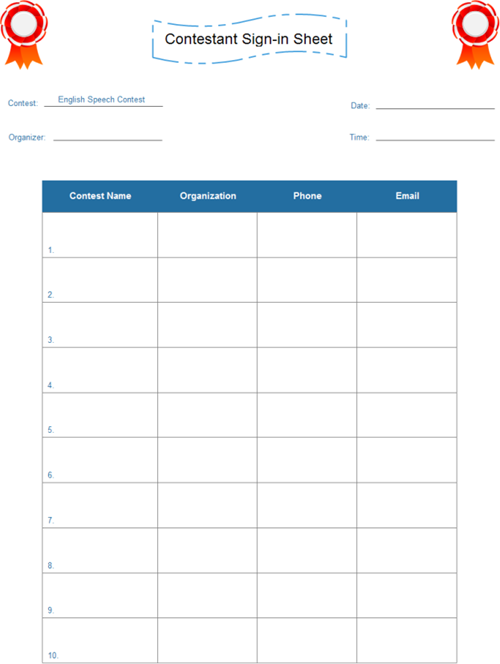 Presented are some free and useful forms for holding speech contests. Click on the pictures to view large version or download them. See some top tips to prepare a speech. 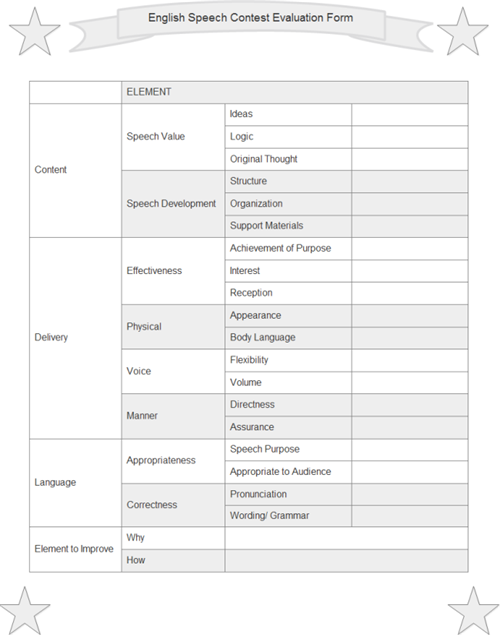 speech completely and give scores fairly. figure out which part is taking place easily. 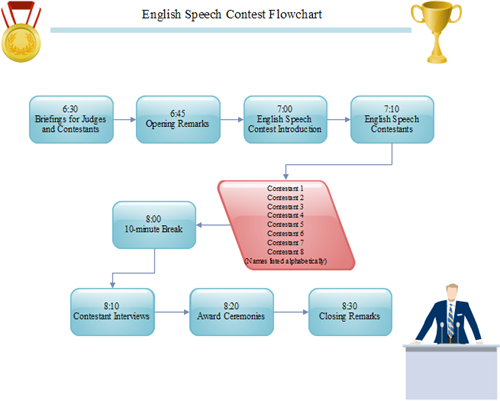 To create similar materials for speech contest, download our diagram software.